Sharing information & ideas for interested beekeepers in Southern Tasmania. | Southern Beekeepers Association Inc. 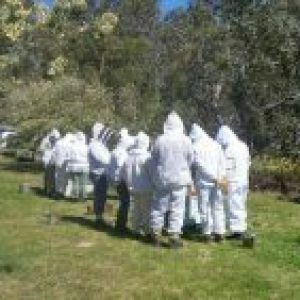 The Southern Beekeepers Association is a forum for back-yard and commercial beekeepers alike in Southern Tasmania. Membership conveys great benefits through sharing ideas and information. The peak beekeeping body in Tasmania is the Tasmanian Beekeepers Association (TBA), tasmanianbeekeepers.org.au which takes the lead in representing the industry to Government. Apart from being an incorporated body in our own right (SBA Inc.) we are also the TBA’s Southern Branch, and we conduct a range of activities for the benefit of southern beekeepers. Posted on March 28, 2019 by Southern Beekeepers Association Inc.
As you may have seen in the most recent weekend newspapers, Sustainable Timber Tasmania (STT) will soon begin its annual program of planned burns. STT’s planned burns are likely to commence in late March/early April this year in response to weather conditions. Planned burns are conducted to regenerate forests after harvesting and to contribute to the statewide fire management effort through fuel reduction burns. Around 170 regeneration burns are planned for this year in coupes across the Permanent Timber Production Zone, ranging in size from a couple of hectares up to approximately 100 hectares. In addition, Sustainable Timber Tasmania will be involved with fuel reduction burns across the state as part of the coordinated fuel reduction program. You can find out more about Sustainable Timber Tasmania’s planned burns program by visiting www.sttas.com.au. Posted on February 15, 2019 by Southern Beekeepers Association Inc.
Posted on January 4, 2019 by Southern Beekeepers Association Inc.